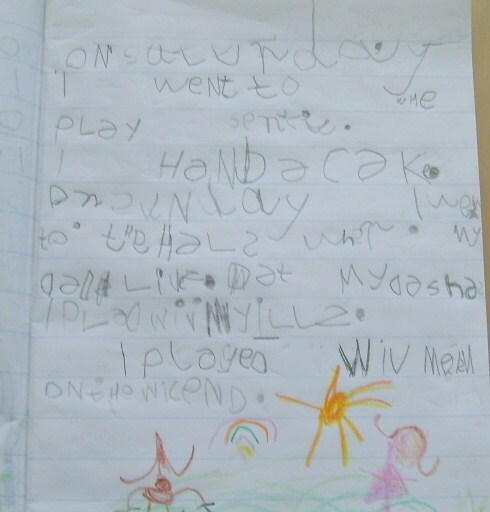 My Preps are ‘rocking on’. 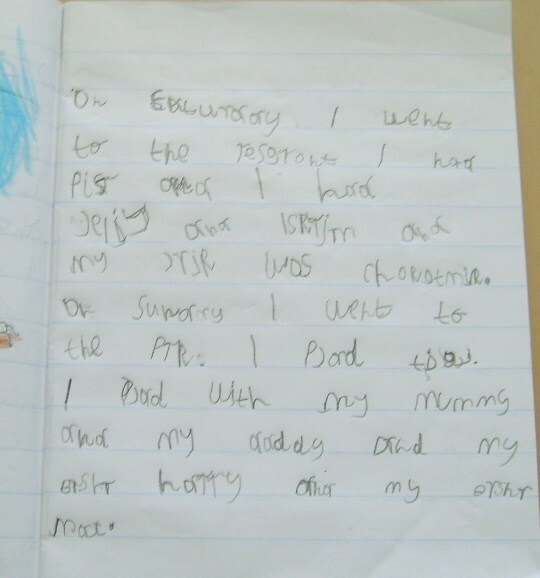 Last journal for semester 1- Week 19 of formal education in Aus: 5 & 6 Year Olds – We’re Celebrating! We’re celebrating our journey this week. Tomorrow, we have our 3 Way Conferences and my students will be explaining their learning to their parents. 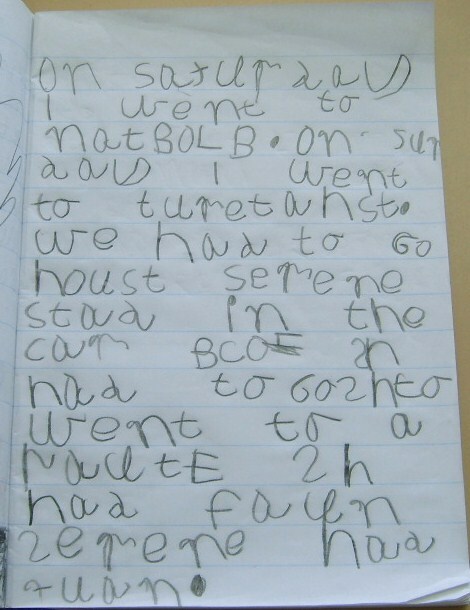 This week, many of my students had another learning leap and this is evidenced in their independent writing. Their portfolios are ready to show and it amazes them how much they know. The ‘freebie’ word was Saturday. 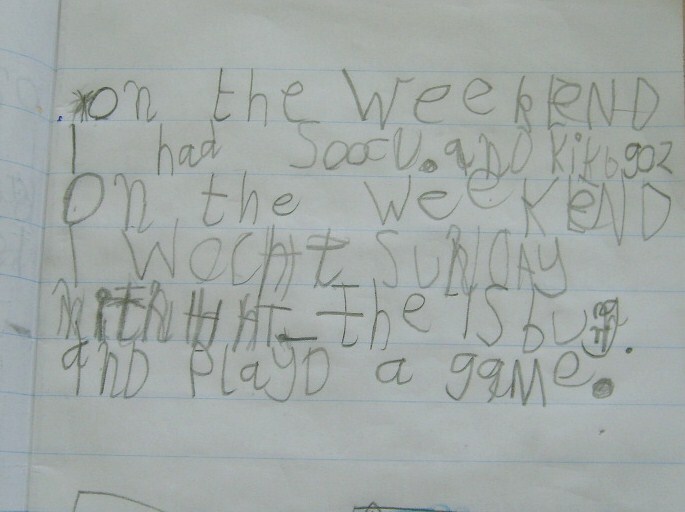 My students are using Saturday and Sunday as a sequencing structure for their journals at present. I intend to introduce simple pre-planning scaffolds to help them structure their writing early next term. 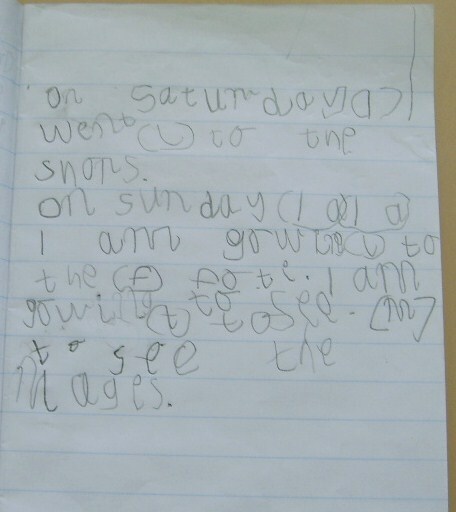 Have a look at the commas in sample 3 – love that ‘have a go’ attitude of my preps. We’ve been looking at commas when reading, and my students have been finding out what they do. I’m now seeing commas being used in their writing without prompting. Background: I’ve been focusing on looking at a text deeply, rereading a text to my students many times, and addressing something different each time. We’ve been looking at narratives, starting from reading… and leading into writing their own. This week we’ve continued looking at the main idea in terms of the big concept, and the message or author’s intent. Why was the story written? What compelled the writer to tell this story, and what can we learn from, and about ourselves from the story? We’ve unpacked the story into the beginning, middle, end and problem. We’ve also been discussing the story ‘beyond the text’, and teaching the children the term ‘going deep’. 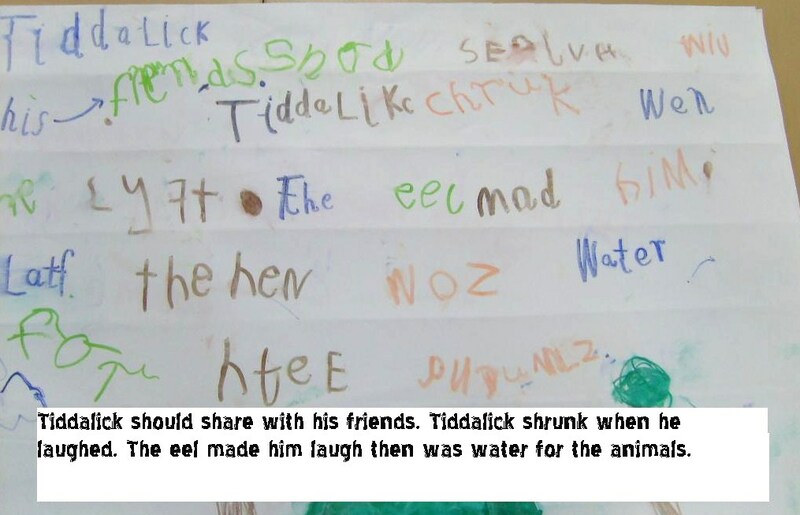 Today we looked at Tiddalick and how he felt, and why he did what he did. My students came up with some really enlightening ideas in support of Tiddalick and against. A few weeks ago I read a Mem Fox book to my students. I read it seven times before my student’s actually identified the big concept and overarching idea. Spending time rereading one text is very valuable. Looking at the language used by the author also helps build the rich vocabulary that children need to read and write. I’ve also focussed recently on adjectives or ‘coloring in words’ and ‘going deep’ into a text enables these sorts of discussions. This week, I had two teachers spend part of a morning with me and my students. 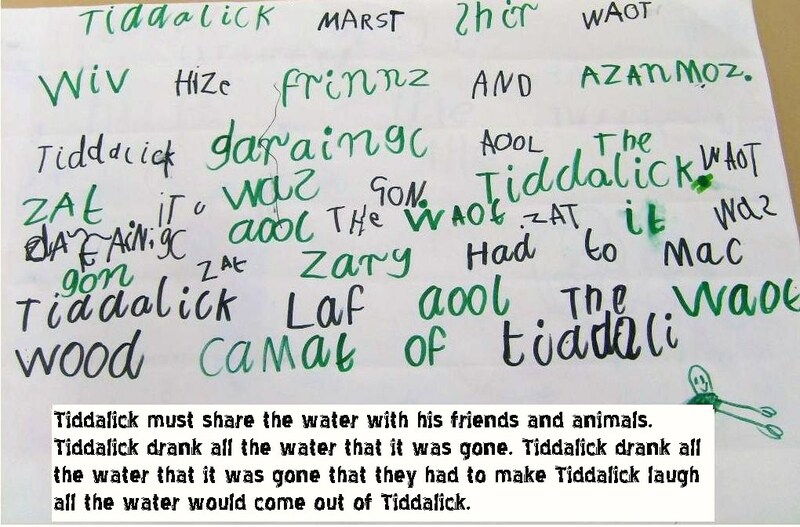 My children wrote a retell about Tiddalick using the PrepD Student Led Interactive Writing strategy. 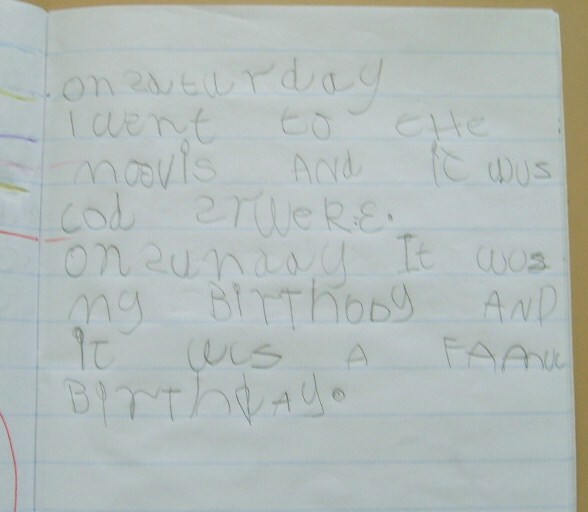 It was one of those mornings when there were lots of interruptions and it wasn’t until during our share session and looking closely at their writing, that I thought, there’s a lot to celebrate here! It’s nearly the end of their first semester of formal education and these students are just at the beginning. I can’t wait to see what they’ll be doing at the end of the year. 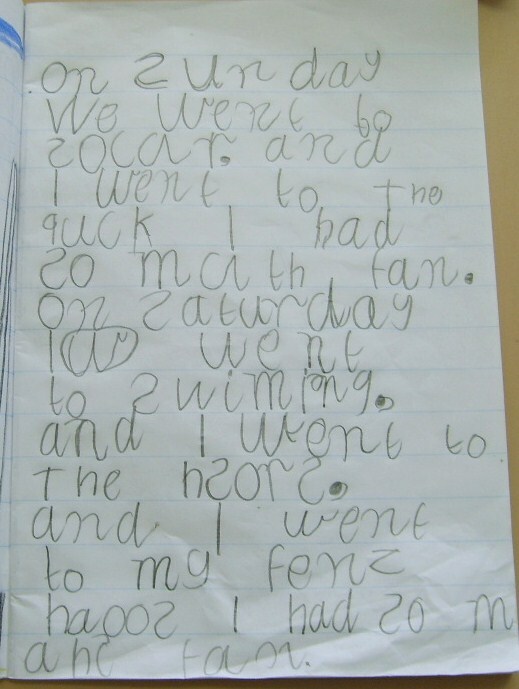 When looking at these writing samples, I can see many teaching points i.e sh and th, continued focus on upper case, lower case, sentence structure and simple punctuation. It’s also important to add that this is ‘thinker’s writing’… it’s not safe writing like journal writing. These students have to work collaboratively to form their text, and then prompt and support each other to write. The by-product of collaborative grouping is developing the children’s ability to work cooperatively with others… and yes, there can be disagreements, but unless children are put into these situations they will not develop the skills to negotiate, compromise and make good choices in order to get the job done. Learning to See, Unlearning to Judge – Instructional Rounds: The ‘By-Product’ and ‘Inner-Think’! I’m not surprised my posts on Instructional Rounds are being read. Since writing this I’ve been a classroom teacher being visited as part of the Rounds process at my previous school and visited many classrooms myself. Either experiences are very valuable for a teacher. Today was my last day as a member of an Instructional Rounds Pilot group. The pilot group was the Southern Metropolitan Region (Victoria, Australia) principals. It’s been a great experience and has given me an enormous amount to reflect upon in terms of my own practice. I have been very fortunate to be involved in this pilot, and as a classroom teacher, it’s the by-product of Rounds that has made me have an ‘inner-think’ into my own practice. Instructional Rounds follows a strict set of protocols. Look down, not up! It is about the practice not the teacher. 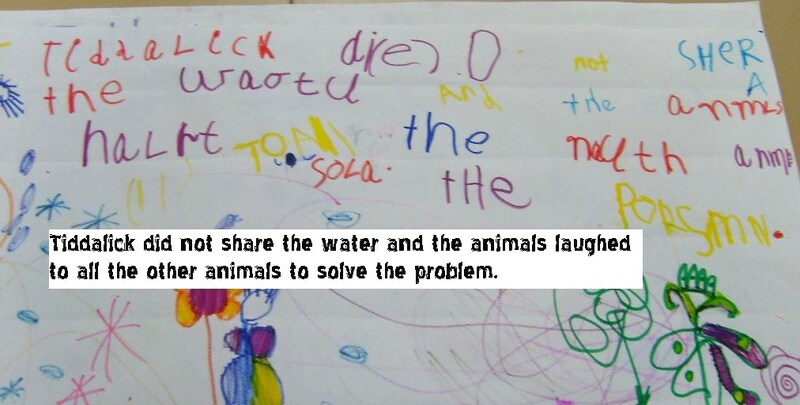 Identification of a ‘Problem of Practice’ by a school. ‘Problem’ is a neutral term. Prompt: Describe what it would look like if the school had solved the Problem of Practice? What would the tasks look like? It’s the discussions around the ‘Predicted Next Level of Practice’ that I have reflected on deeply. When visiting my classroom what would be observed? What am I doing? What are my student’s doing? What do my tasks look like? When planning, I’m now reflecting on these questions, making changes and feel as a result my own practice has improved. This is the by-product and why I believe it is essential that classroom teachers, regardless of experience need to be included in future Rounds. If you get an opportunity to be part of an Instructional Round or are in a school where a Round is taking place, please embrace Rounds. I’ve been the observer this time, but I’m sure in the not so distant future my practice will be observed too. I feel like I’ve neglected this space but today was a great day for one of my students. The transformation of a student’s understanding and the thrill that was experienced by the child is so rewarding for teacher and student. The expression on the child’s face said it all for me. That realization that he is a writer and what he writes can be read by others. 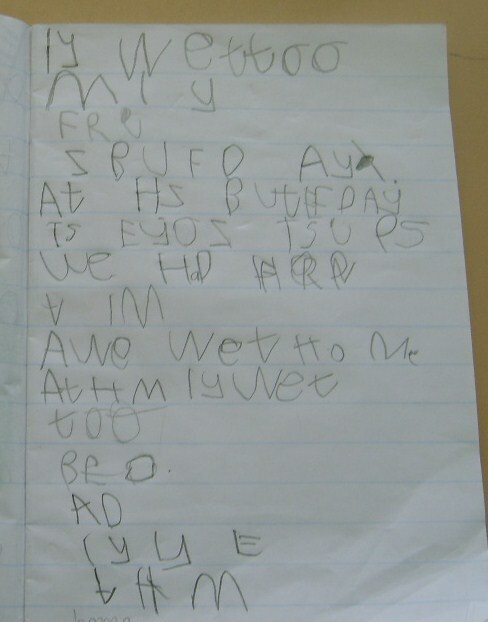 I’ll keep posting about this child’s journey throughout his first year of formal education in Australia (Prep – 5 & 6 Year Olds). 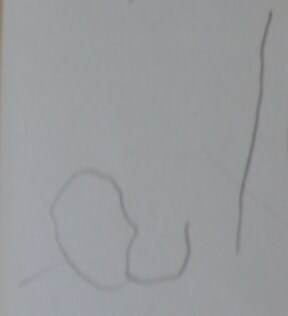 All posts referencing this child’s journey will be called, ‘His Journey’. 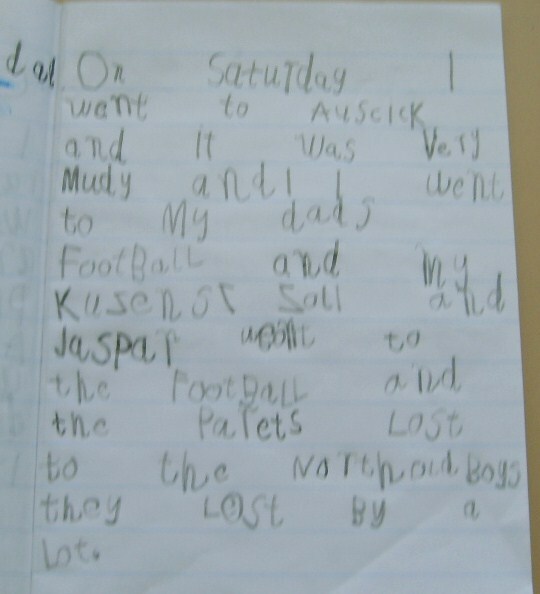 June 7th I went to soccer. 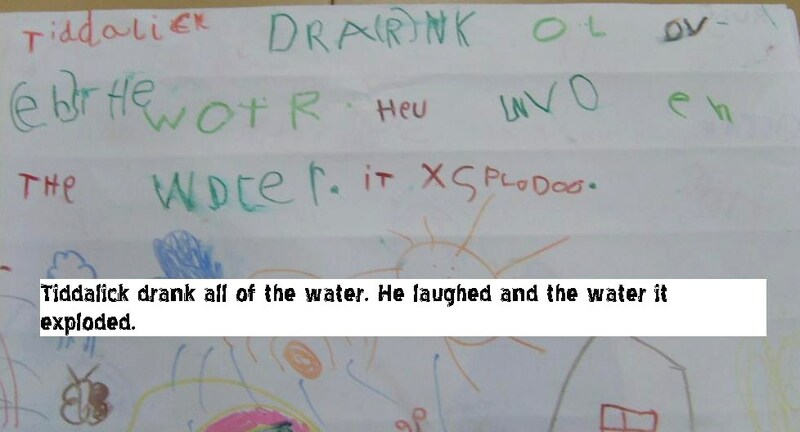 This child is going to ‘zoom’. All I can say is we need to be patient and positive with young writers. It’s all about readiness, nurture and trusting the journey.